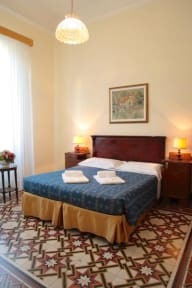 Florence Hotel Ungherese is a Family run Hotel located in a typical Tuscan villa, at the picturesque foothills of Fiesole and immersed within the peaceful residential neighbourhood of San Gervasio, yet only minutes from the historical City Centre. Hotel Ungherese is equipped with an enchanting garden-terrace available to all guests. 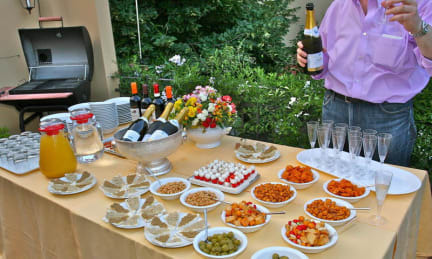 The hotel is walking distance from the marvellous park Villa il Ventaglio and can also be easily reached by car where ample parking is available. The true Tuscan Style is also reflected in the interiors which have been enriched with typical paintings and furniture. Need to allow early check in and provide more toilet paper and tissues.